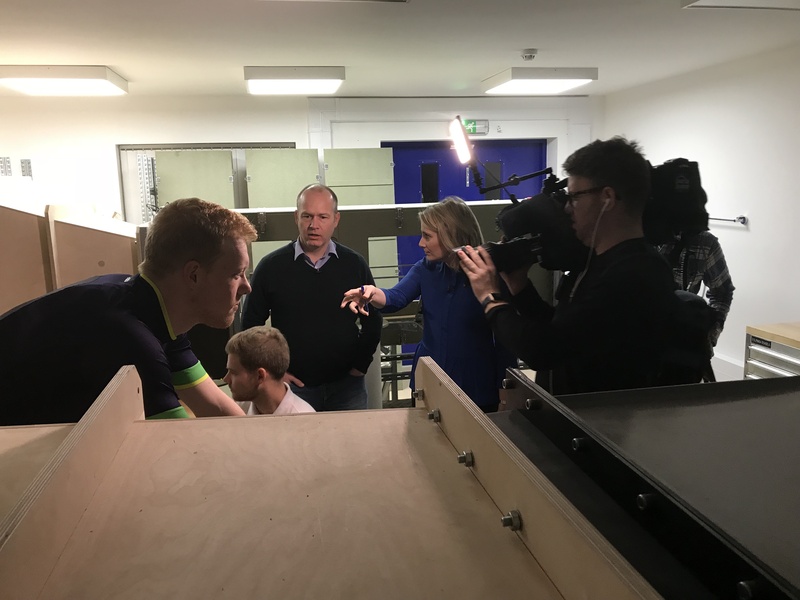 ITV’s Good Morning Britain came to TotalSim’s Head Office this morning to interview Dr Rob Lewis, OBE. The interview was on the back of media attention this week, which has raised questions over the suits worn by Team GB skeleton riders. 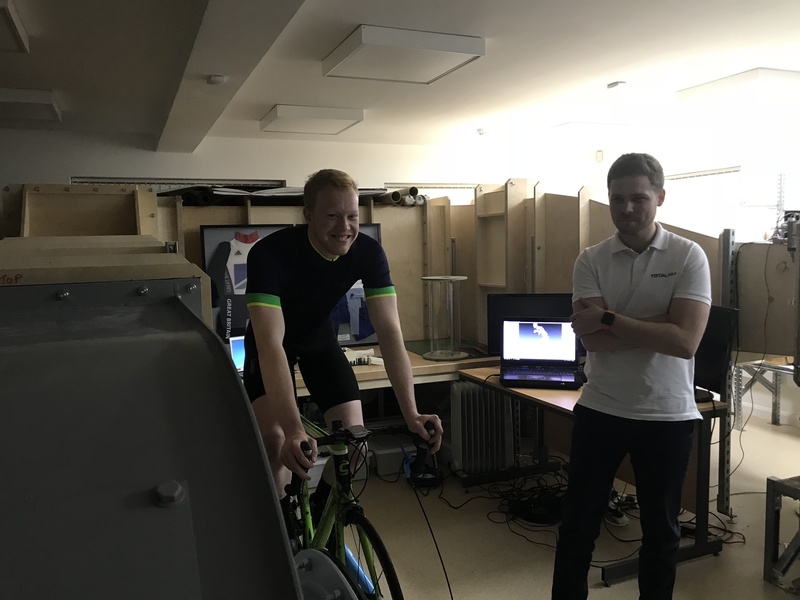 TotalSim have not been directly involved in the suits but we have helped develop IP for English Institute of Sport over the last 3 Olympic campaigns for British Cycling which may or may not have been transferred. 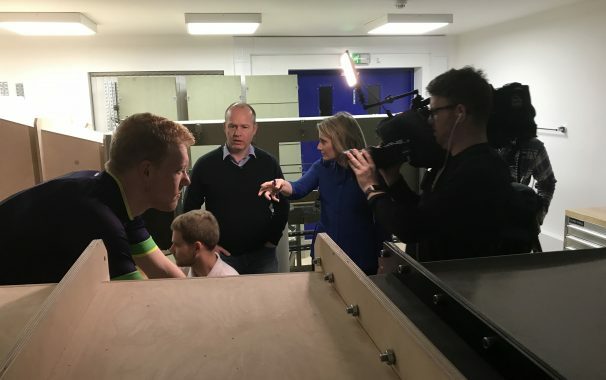 The interview demonstrated the work that goes into the development of suits from initial fabric testing, 3D scanning of the athlete to wind tunnel testing and CFD. From left to right – Tom Marsh, CFD Intern and Sam Quilter CFD and Metrology Engineer. Dr Rob Lewis OBE talking to Juliet Dunlop Correspondent from Good Morning Britain. Rob was awarded an OBE in 2017 for services to science applied to sport in recognition of Rob’s contribution to the performance of British athletes’ over the last 3 Olympic campaigns. For all press enquiries relating to this article or if you require further information please contact us on info@totalsim.co.uk or 01280 840316.